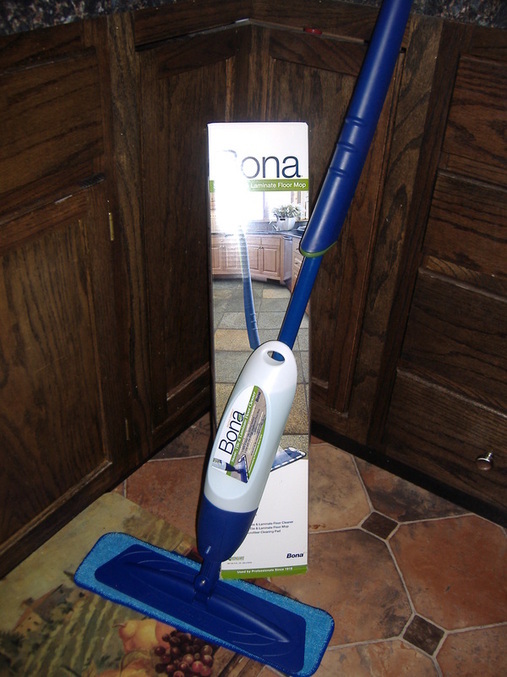 Welcome to My Bona Floor Mop Giveaway! Down South Savings And My Journey To Living Well. Meet the Bona Stone, Tile and Laminate Mop, AKA My New Best Friend. The mop is not too heavy and it glides smoothly over the floor, so it requires very little pushing and pulling, which is much less strain on the back.. The handle is nicely shaped and feels very natural in your hand. The trigger is well placed, under the handle, allowing for easy dispensing of the cleaning solution. The solution itself is safe for all hard surface (non wood) sealed floors, like stone, tile and laminate. The solution is safe for the environment and your kids & pets. The microfiber pad is machine washable for super easy cleanup. Down South Savings is proud to be able to bring you another great giveaway!! You can read Midlife Mommy's full review HERE. Thank you for using Giveaway Tools for your Contests. I had to look and see who it was because it is so easy to use compared to Raffle Copter! Thank you for this giveaway. My back could use a little help. Thanks so much for the giveaway. Maybe a good mop will make it less of a challenge.